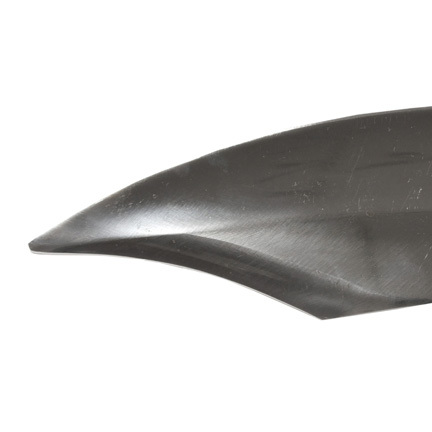 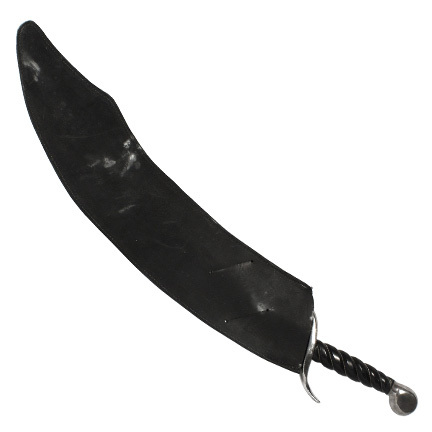 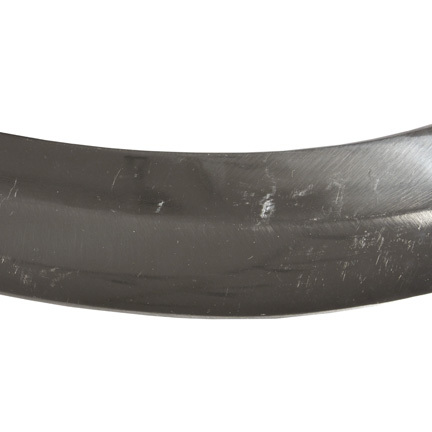 This scimitar was used by the character “Mathayus” portrayed by Dwayne Johnson (AKA The Rock) in the 2002 motion picture “The Scorpion King”. 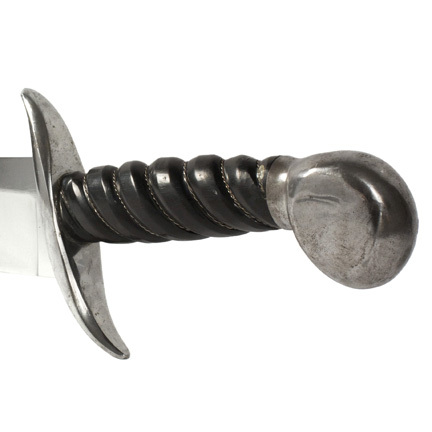 The stainless steel sword with large curved blade has a curved guard and hilt bound with genuine black leather grip and rounded steel pommel at the end. 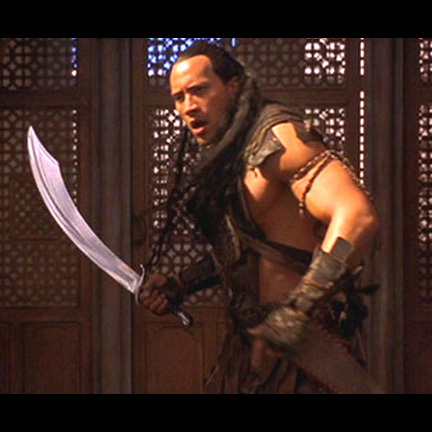 The actor used this weapon onscreen during part of the sequence where Mathayus is being pursued by “Thorak” (Ralph Moeller) and his men through the palace of the evil King Memnon (Steven Brand). 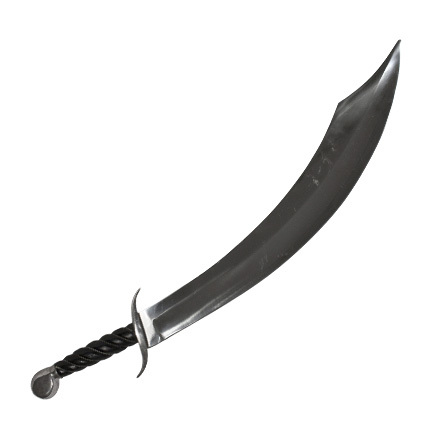 After being catapulted into Memnon’s harem, Mathayus is attacked by some palace guards and takes this sword from one of them. 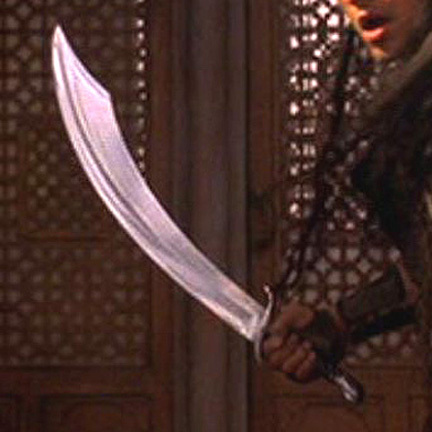 After using the sword in the following fight sequence, Mathayus leaps from the tower and crashes into the chambers of the king’s sorceress “Cassandra” (played by Kelly Hu). 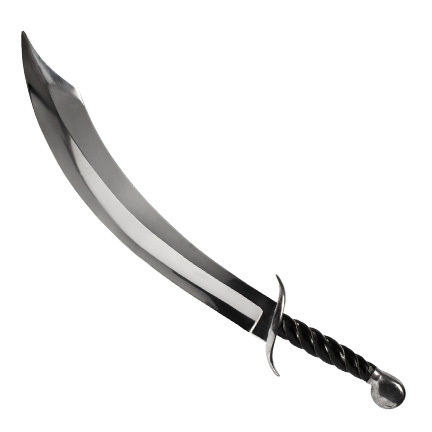 He pulls this sword from his scabbard and after a brief exchange, escapes with her down the drain of her bathing pool as Thorak’s men close in. 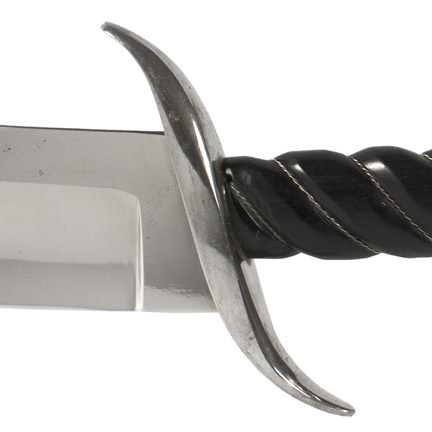 The scimitar is in excellent screen used condition and is accompanied by a letter of authenticity from the film’s weapons supplier.